Nokia has planned to set a music trend in the Indian Market. Nokia has announced another candy bar mobile with the latest technology that offers Ovi Music Unlimited, which offers free and unlimited music downloads for one year to buyers of Nokia X2. With the Ovi Music feature users can search music by the name of the actor, actress, artist and films because many Indian users are fans of music from local films. In India, Nokia is offering music from international labels as well as from over 150 Indian labels and publishers. The service offers more than four million tracks from across 19 genres. Definitely this is boon to music lovers. The new handset is slim and has a candy bar look that weighs 81gm. It has a 2.2″QVGA screen, 5 Mp Camera with Video recording, 3.5mm headphone jack and FM Stereo, dual speakers with dedicated music keys. 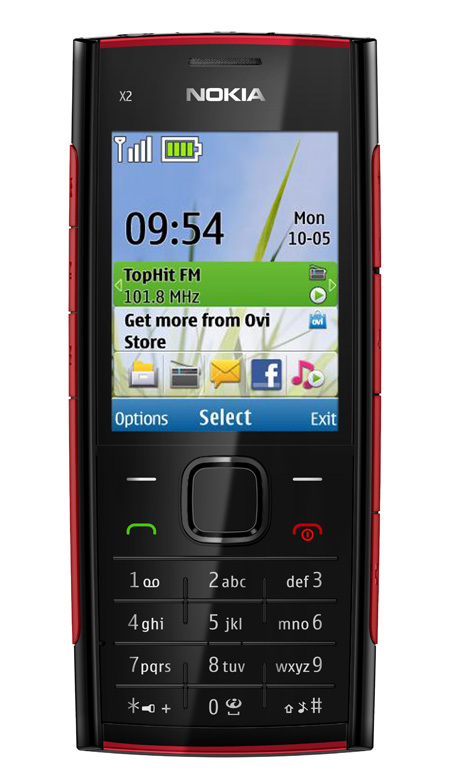 It’s a Series 40 phone that comes with a host of features with GPRS enabled, including Bluetooth, aluminium back plate, access to Facebook and the Nokia the Ovi Store. Now you can upload images through Bluetooth, Flickr and Ovi share. 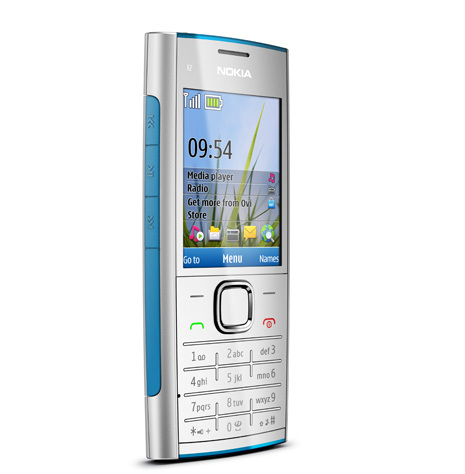 Nokia X2 is pre-installed with java games like Bounce Tales, City Bloxx, Snake III, Block’d, Diamond Rush, Rally 3D, Brain Champion, and Sudoku. The cost of this all new music phone is Rs.5000 and it is expected to be available in the market by end of June.